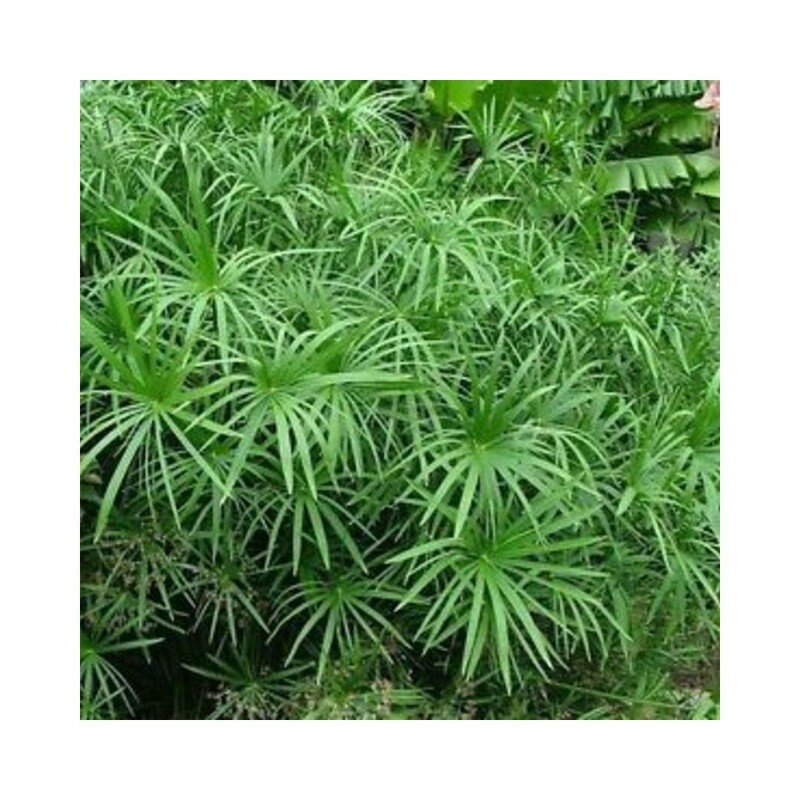 The umbrella plant is a sedge and a member of the ancient Papyrus family. Cyperus umbrella plants are in a family of over 600 grass-like plants, most of which are native to the east coast of Africa and tropical zones. 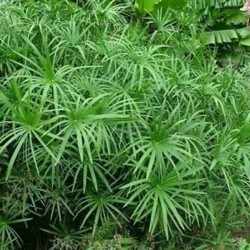 The umbrella plant is a sedge and a member of the ancient Papyrus family. Cyperus umbrella plants are in a family of over 600 grass-like plants, most of which are native to the east coast of Africa and tropical zones. As such, the plant is not hardy and can only tolerate outdoor living in the tropical to sub-tropical zones of the United States. Umbrella houseplants will need moist, warm conditions such as those around an indoor pond. Umbrella plants are native to the swamps of Madagascar. The riparian plants thrive in boggy conditions or even with roots fully submerged in water. The name for this plant comes from the arrangement of the leaves at the ends of the stems. The slender, rigid, serrated leaves are arranged in a ray around a central core, much like the spikes of an umbrella. In ideal conditions, this central area produces a tiny cluster of florets. There is no special umbrella plant care necessary for outdoor plants. As long as the plant is moist and warm in slightly acidic soil, it will thrive. Prune off dead stems as necessary and fertilize annually with a diluted liquid plant food.